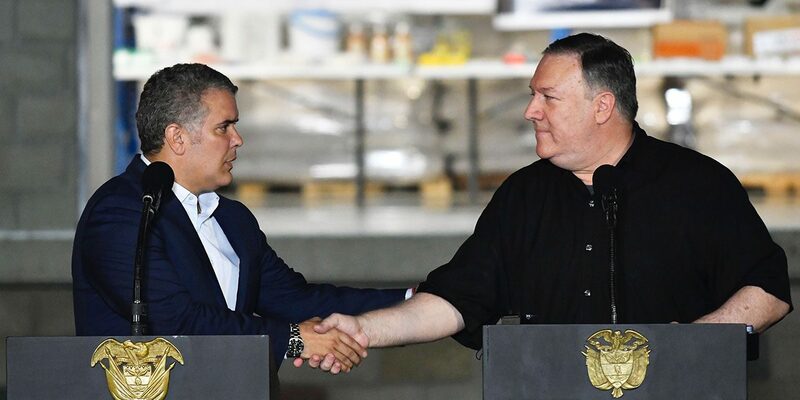 Colombia’s President Ivan Duque praised United States Secretary of State Mike Pompeo for “making all necessary efforts” to force regime change in neighboring Venezuela. The visit took place only days after top US and Colombian officials met confidentially in Washington DC to discuss a possible military intervention, with the aim of ousting disputed President Nicolas Maduro and replacing him with US-friendly Juan Guaido. Guaido’s bid for the presidency is supported by more than 50 countries in the Americas and Europe, but only Colombia and the US have refused to rule out a military intervention. The remaining Guaido-supporting countries and the United Nations categorically rejected military intervention. 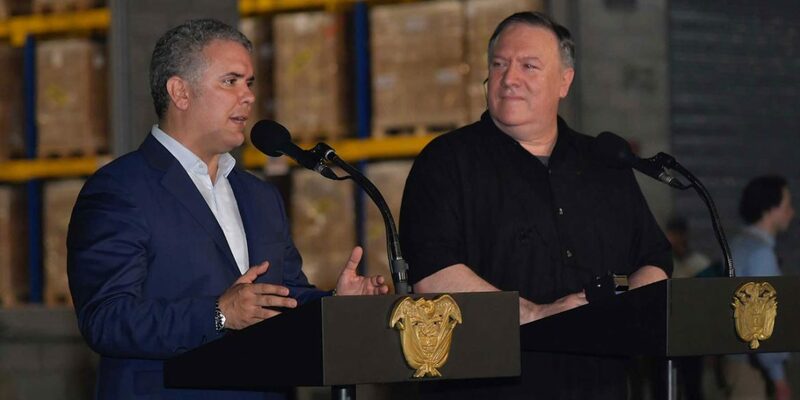 The Colombian President and the US Secretary of State met in Cucuta, which has been the center of operations to support Guaido and receive Venezuelan refugees. When talking to the press, Pompeo avoided hinting at military intervention. Instead, he vowed to use all political and economic tools to force Maduro out of office. 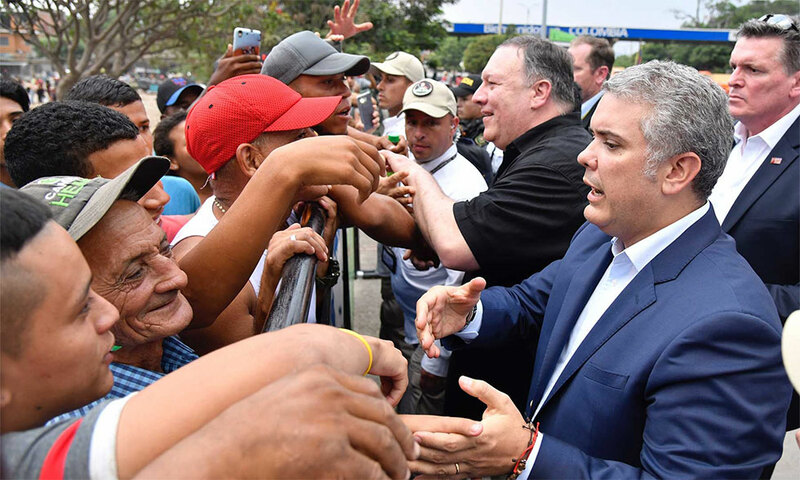 “The United States will continue to utilize every economic and political means at our disposal to help the Venezuelan people,” Pompeo told press. “Using sanctions, visa revocations and other means, we pledge to hold the regime and those propping it up accountable for their corruption and their repression of democracy,” the US Secretary of State added. Critics have warned that heavy sanctions on Venezuela could further deteriorate the humanitarian situation for ordinary Venezuelans. “Thank you for your compromise,” Pompeo responded. The two men visited Venezuelan refugees near the Colombian border, which the US State Secretary said was “incredibly moving,” according to the website of Duque.